The Adriatic coast has a long tradition of ancient civilizations, trade, conflict, colonization and settlement, and other maritime activities that have left a varied and significant record on the seabed. With the generous support of INA Director Claude Duthuit, INA’s Elizabeth Greene conducted a preliminary survey of the Albanian coast off Butrint in 2000. A new survey program, initiated by Auron Tare of Albania and INA’s partner organization, the RPM Nautical Foundation, has brought new technology and deeper water surveys in collaboration with partners in Albania, and has resulted in a number of significant discoveries. 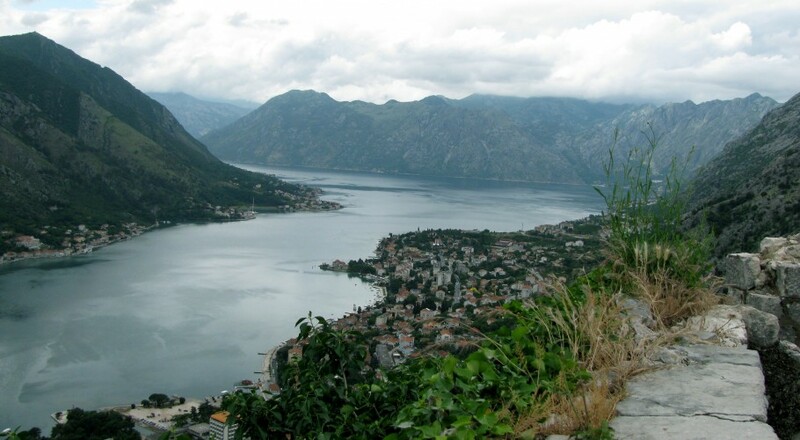 On the heels of an enlightening, educative, and successful inaugural expedition, the 2008 field season of the Albanian Coastal Survey Project proved equally rewarding. Multibeam survey of the shoreline continued northward and included Porto Palermo, while diver investigation addressed selected areas of the shoreline. RPM Nautical Foundation (RPMNF) provided equipment, personnel, and funding to carry out the project and worked in partnership with the Instituti i Arkeologjisë (Albanian Institute of Archaeology-AIA) as well as the Ministry of Culture and Tourism. 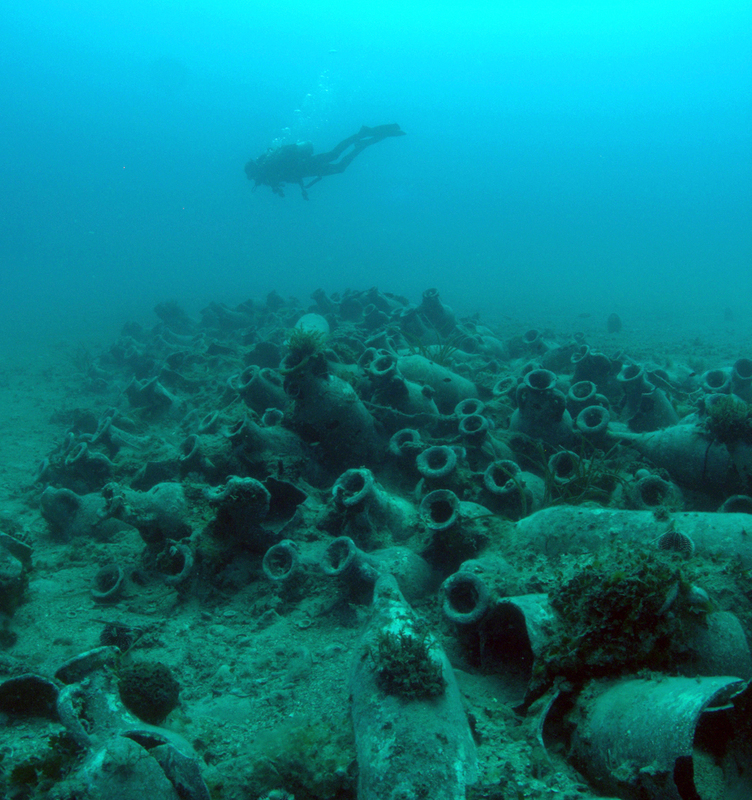 Through the 2008 field season in Albania, the discovery of numerous shipwreck and artifact finds carrying Corinthian goods established this city as one of the foremost in the Greek settlement efforts along the shores of Illyria. Little is known, however, about colonization efforts and the nature of trade north of Apollonia. Maritime evidence of Roman trade from southern Albania is also present, to a lesser extent relative to Greek evidence, but does indicate widening Mediterranean contacts. 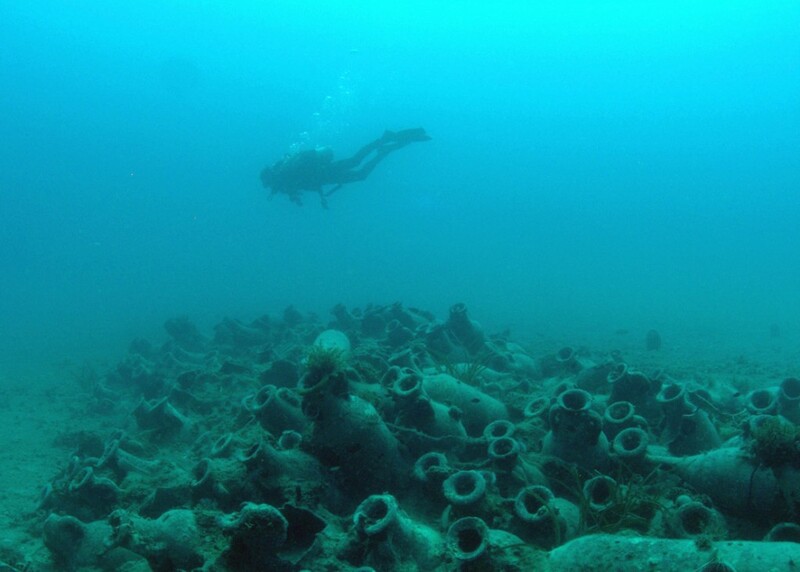 Although the cities that rose to prominence during the Roman period remain further north, in the current 2009 field season a A.D. 4th-century shipwreck carrying N. African amphoras has been discovered just south of Porto Palermo. ABOVE: Roman wrecksite of primarily African type 3 amphoras along with some LRA2 variants in Albania (Photo: INA).